Erick has over 26 years of experience in industrial and commercial real estate. He is highly versed in all aspects of facility procurement, construction and finance in Mexico. Most of his career, Erick ran as an independent broker owning his own firm. 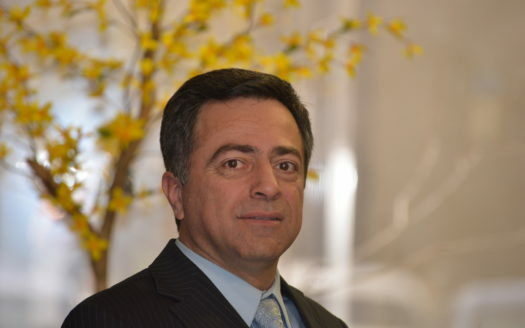 Earning a name and being one of the most active industrial brokers in the State of Chihuahua. His portfolio includes more than 10 million square feet of industrial space negotiated. He has helped more than 100 companies to settle, expand or relocate in different cities of Mexico, specializing in the State of Chihuahua. In the nineties during the boom of foreign franchises in Mexico, he helped several of them establish in the State of Chihuahua. Some important names include: McDonald’s, Peter Piper Pizza, Pizza Hut, Sirloin Stockade, Domino’s Pizzas, to name a few. Erick is originally from Costa Rica but has been living in Juarez over 25 years. He has four children and a grandson. He highly enjoys time off with his children and grandchild. He also collects stamps. Erick was named “Broker of the Year” for two consecutive years by GE Real Estate, Mexico.